A debut on Live and Loud! 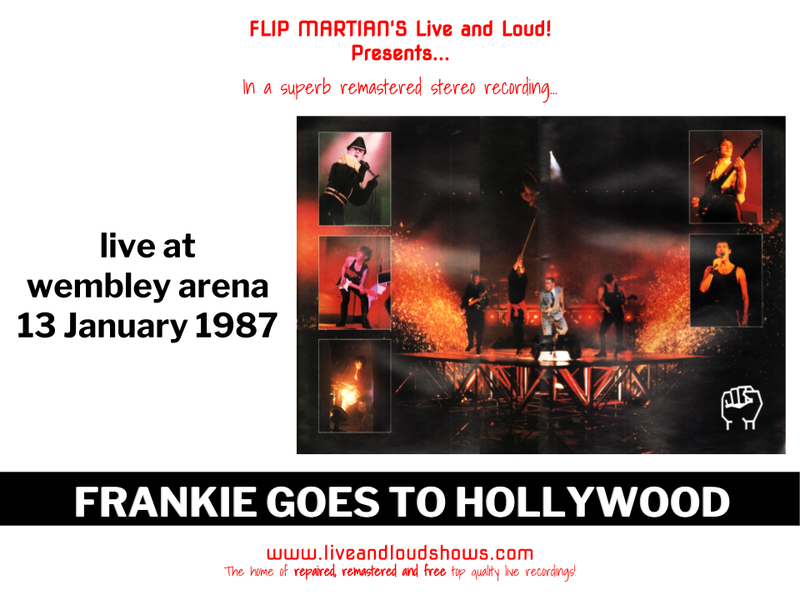 for Frankie Goes To Hollywood from their last tour in the UK, when they were literally imploding back stage, with relations between Holly Johnson and the rest of the band at breaking point. This was an FM broadcast recorded off air I think as this isn't the full set. 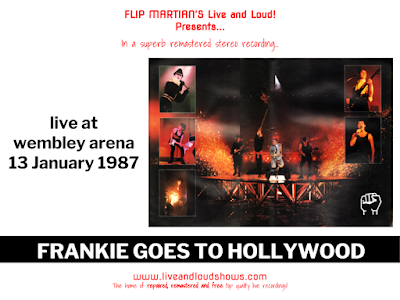 It's also another recording someone had tried to improve before I came across it - everything whacked up to 11 and every song faded out - the intro to Rage Hard was even chopped off altogether and the song gone (guessing this was where the original C90 tape needed turning over). 1 or 2 tracks also sounded like they're from a different recording altogether. 30 band EQ has once again paid dividends and undone much of what was done - tightened up the bass, made the mix clearer and not so tiring on the ears and addressed some faults where the recording went very dull at times. All while still retaining the power in the sound on stage. You can download this improved recording for free here as one tagged 320 kbps MP3 file. Or, if you would like to support the site with a small donation towards storage subscription and internet costs, in return you can have the show as separate, properly tagged MP3s or lossless files in FLAC format; head on over to the Donations tab to see how you can do this. Thanks , Shame that Rage Hard is missing, not managed to find a complete copy. Apparently there is one out there - never come across it but 1 of my listeners apparently has. Not sure what state it's in.